FUNERAL ARRANGEMENTS ARE HIGHLY PERSONAL. Some choose a basic funeral whilst others prefer a more elaborate service. There is no right or wrong way and you should not feel pressured in the choice you make. Whatever you choose, arranging the funeral provides an opportunity to create a unique commemoration of the deceased. A funeral can be arranged for any time after a Medical Certificate of Death has been issued by a medical practitioner. If the death has been reported to the coroner, the date when the funeral can be held will be affected. When arranging a funeral, it is important that the person making the arrangements can give instructions and make decisions regarding the funeral details. This person will also be responsible for arranging payment for the funeral. You may make funeral arrangements at your home, at the funeral home or another location, such as a solicitor’s office or friend’s home. It is possible for you to arrange the funeral yourself; this can be a complex undertaking, but also rewarding. 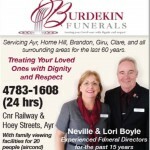 The next section in this guide contains information on “Do-it-yourself” funerals should you wish to choose this option. If you are the executor of a deceased person’s will, you have the legal authority to make the funeral arrangements. However, you may give this responsibility to a family member or friend. Make sure you check to see if the deceased person left any instructions in their will or elsewhere about their preferences for the funeral. The will or personal papers of the person who has passed away will often indicate if they belonged to a funeral fund or pre-paid funeral plan which may have details of funeral arrangements. The administration of the estate could be more difficult and expensive if there isn’t a will. If there is no will, the next of kin or other family members or friends can arrange the funeral as it may be some time before the court appoints an administrator of the estate. The State Trustee, Public Trustee or a solicitor can give you advice on what to do in these circumstances. Your choice of funeral will depend on a range of factors such as your financial situation or the wishes of the deceased person. burial or cremation of the body. A direct committal is a cheaper option than a basic funeral. 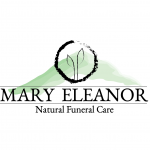 It is offered by most funeral directors and is a cremation or burial without a service. Bereaved families and friends can still arrange a memorial service at another venue. Remember that you will be charged for each and every service you agree to use. More expensive funerals involve all the elements of a basic funeral (as described above) plus additional services and products. In the past, seeking assistance and selecting a funeral director involved calling local funeral homes, perhaps found in the Yellow Pages, and making an appointment. Although, it may be emotionally difficult for you to ‘shop around’ for funeral services, but it makes sense that you should use the same techniques you use with any other major purchase. Consumer surveys show that most people don’t shop around for a funeral — they pick the funeral company closest to them, or the one their family has always used. Neither of these criteria tells you whether you’re getting a good value. Our research shows that when customers do decide to shop around for a funeral business, they are not in a position to compare prices and are not aware that several funeral operators may be associated with the one parent company. As a consequence, customers are often soliciting quotes from branches of the same company without their knowledge. For example, InvoCare, a publicly listed company on the Australian stock exchange, owns and operates up to 230 funeral homes, cemeteries and crematoria in Australia and Singapore. 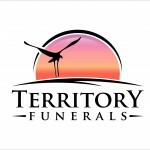 A number of other funeral companies also offer funeral services under multiple brands. The person arranging the funeral is financially responsible for it unless otherwise specified, and is the only person who can make arrangements with the crematorium or cemetery, including signing burial or cremation permits. In some circumstances, the government may be able to arrange and pay for the funeral on your behalf. This might occur if, for example, the deceased has no money or assets available to pay for a funeral and/or there is no one else who is capable of arranging or claiming benefits for the funeral. Most funeral directors don’t provide an itemised quote for the cost of a funeral. So it pays to do your homework. The cost of a funeral in Australia ranges from $3600 to $7000 (cremation) and $8000 to $12,000 (burial). This does not include the additional cost of a memorial and stonemason. 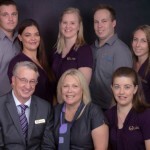 Professional fees are usually not itemised in the quote from the funeral director. These fees cover the things the funeral directors do using their own resources. 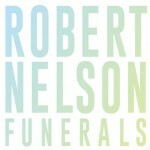 The fees will vary according to which funeral director you use and the level of service you choose. Remember that you will be charged for every service you agree to use. It is useful to do your research. Our research has found that funeral directors’ professional service fees fluctuate wildly, and vary from State to State. For example, professional fees can cost anything from $450 to $2,750. Transport of the body can vary between $129 and $1,995. Storage of the body can cost between $165 and $352, body preparation from $200 to $480 and collection of certificates between $75 and $134. Coffins are usually less expensive than caskets. Coffins and caskets with more elaborate fittings, linings and timbers are more expensive. For example, a basic coffin (chipboard or MDF with cheap plastic handles) can vary from $780 to $2200. A solid timber coffin (pine wood) can cost $2700, a solid oak timber coffin around $4150. Funeral caskets (metal) can range between $7000 and $28,000. A disbursement is a fee charged by a third party which the funeral director pays on your behalf. Necessary disbursements include the fees charged by a doctor for medical certificates and permits or fees charged by a cemetery or crematorium. Other disbursements may include newspaper notices, flowers or refreshments you have requested. The funeral director is only permitted to pass the actual cost on to you. Make sure you confirm the actual costs of disbursements to avoid being overcharged. Be clear about how much you prepared to pay. If a funeral director can’t meet your price, shop elsewhere. The estate (assets of the deceased person, including any money). Check with the bank to see if they will allow money in the deceased person’s bank account to be used to pay for funeral expenses before probate is granted, when the rest of the estate can be accessed. A pre-paid benefit or investment scheme, superannuation fund or life insurance. The Commonwealth Department of Veterans’ Affairs for some returned service people (who may also be eligible for an official war grave). Call 133 254. A health fund, trade union, pensioner association or other type of club that the deceased person belonged to. Centrelink — contact them on 132 300 to check your eligibility for bereavement assistance. In the past, information about planning and organising a funeral was difficult to find, leaving people frustrated, helpless and alone. However, more and more people are now using the internet to search individual business web sites. Yet individual company websites may not provide consumers with independent, trustworthy and objective information. They only tell potential customers what they want them to know so they can retain control over their funeral arrangements and “up sell” funeral services and products customers do not need. Most funeral companies don’t provide an itemised invoice for the cost of a funeral. This makes it hard for you to compare quotes and avoid being over charged for things you never asked for, don’t want or need. Have you obtained at least three quotes? Have you received an itemised quote from the funeral company? Have you considered a Do It Yourself funeral?